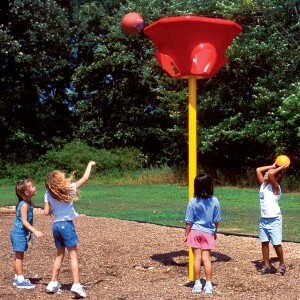 Choosing the playground equipment from a wide variety of options often becomes quite a difficult task. If you are also planning to purchase play set for your community park then here is something for you. Below are certain factors that you must consider while looking for the play equipment. There are various types of play sets like see saw, slides, dome climbers, swing sets etc. that run high on fun factor. Before picking on any one of them ensure that it is made of superior quality material, whether you are buying it online or directly from the shop. It should be sturdy, strong and can stand firmly on the ground for years on end. Quality is another factor that you should consider. Playground Equipment should be constructed by the manufacturer as per the guidelines defined by ASTM and CPSC. Also, it would be a wise decision if you deal in purchasing the play set from IPEMA certified manufacturer. It is given to only those producers who sell commercial grade play equipment to their customers. Do not neglect the safety of kids. Make sure all the safety measures have been followed while making the play sets. There should be proper bars, hinges, railings and other requisite anchors installed in different areas in the play equipment. In addition, you can also install recycled rubber mulch beneath the set to avoid injury from falls to children. We hope that above mentioned points would help you out in choosing the right equipment for outdoor play grounds. How to Select a Swing Set? How to Keep Kids Safe on Playgrounds?